A biologist at The University of Texas at Arlington is creating a comprehensive molecular model of mycobacterial cell wall regulation to better understand how mycobacteria respond to stress. 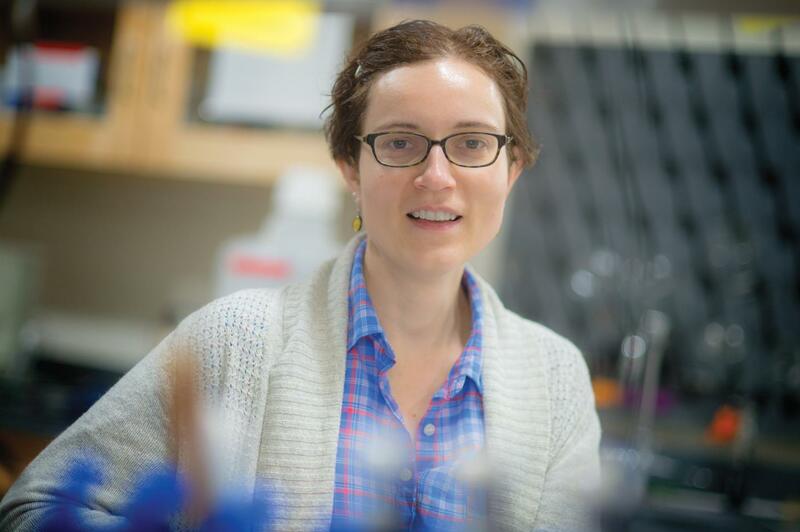 Cara Boutte, assistant professor of biology, received a three-year, $300,000 Academic Research Enhancement Award for a project titled “Environmental regulation of cell growth and division in mycobacteria.” The grant comes from the National Institute of General Medical Sciences, a division of the National Institutes of Health. Mycobacteria are a type of germ that is difficult to kill with antibiotics and has taken a devastating toll on human health. One species causes tuberculosis, and another causes leprosy. Mycobacteria have both a cell wall structure and a mode of growth that are distinct from well-studied model organisms and use several different regulatory mechanisms that are not well understood. “The rationale behind this research is that knowledge of the signaling events that allow mycobacteria to respond to stress will lead to a better understanding of mycobacterial infection physiology and mechanisms of antibiotic tolerance, which could lead to the development of new anti-mycobacterial drugs,” Boutte said. The project will promote a better understanding of how mycobacterial pathogens survive during infection stress and antibiotic treatment, Boutte said. The research will characterize two systems by which mycobacteria regulate cell growth and division in response to stress and will describe new mechanisms of cell wall regulation. Bacterial cell elongation and division are acutely responsive to stress. This adaptability promotes survival in changeable environments. Changes in growth and division require that the enzymes that build the cell wall are regulated in response to environmental signals. This regulation changes cell wall chemistry, cell size and antibiotic tolerance, but is poorly understood. The research furthers UTA’s mission to make significant impact in the field of health and the human condition, one of the main pillars of the University’s Strategic Plan 2020: Bold Solutions | Global Impact. Assisting in the project are graduate students Angela Freeman and Neda Habibi and undergraduate students Heather Lake and Susana Pimental, all of whom work in Boutte’s lab.